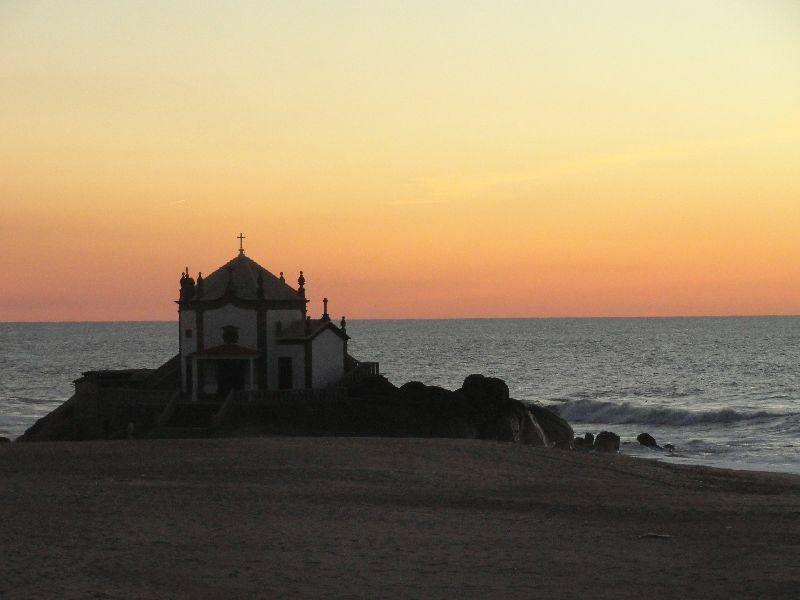 There is a small and intriguing little chapel built on the top of a rock situated right on the shoreline of the Atlantic ocean that commands an amazing view both out to sea and to the white sandy beach stretching in front of it . The place, is Miramar, located in the parish of Gulpilhares, just south of Porto in the north of Portugal. The Chapel, of a hexagonal design, is called Senhor da Pedra (Lord of the Rock) and was built in 1686 and restored in 1996. Two large blue and white, hand painted tile side panels sit either side of the magnificent wooden, front entrance door, both making mention of the pagan temple that once existed there and the importance of archeological finds also on this spot. The origin of worshipping Christ may have originated in the ancient pagan worship which was very frequent among Christian peoples. It is said a miracle was performed by a saint on this site upon where the Chapel of Senhor da Pedra was built as a form of rememberance. Strange ceremonies, relating to the pagan worship, still occur today on full moon nights when one can frequently find melted candles left by worshippers on the rocks and sand to the side of the Chapel. Inside, there is a magnificent high central altar plus two side altars in gilded woodwork of Rococo style all in excellent condition and exhibiting various colourful and beautiful figurines of saints. A wooden spiral staircase leads up to the upper gallery. Although open throughout the year for anyone to visit, there is an annual festival held every June in Miramar which is dedicated to Senhor da Pedra and which draws people from far and wide on a pilgrimage to visit the festival and the Chapel. What is incredibly amazing is the fact that this Chapel has survived close to 350 years on the rough Atlantic ocean front sometimes with huge crashing waves around it and with little or no sign of damage to it. Check out the brief slide-show below of images of this little Chapel and the views it commands. 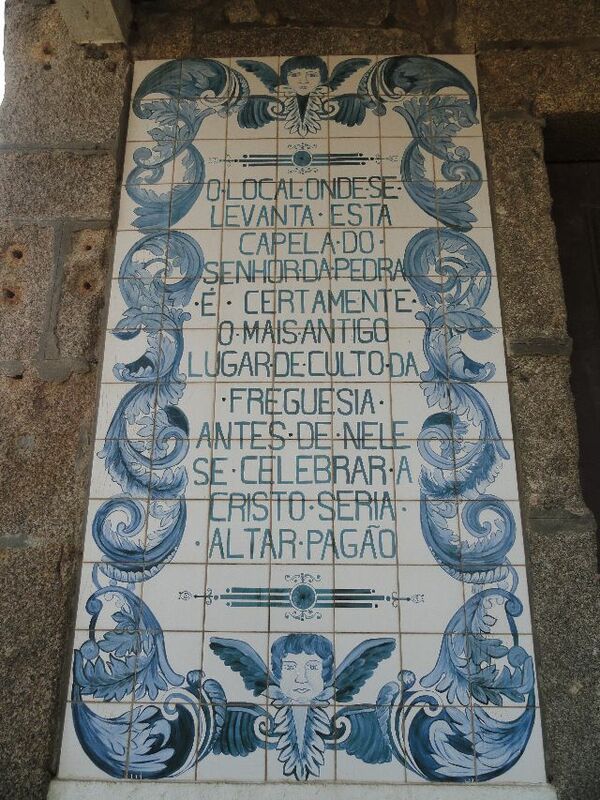 This entry was posted in Chapels, History of Portugal and tagged European Architecture, Northern Portugal, Portuguese Chapels, Portuguese History, Senhor da Pedra. Bookmark the permalink. 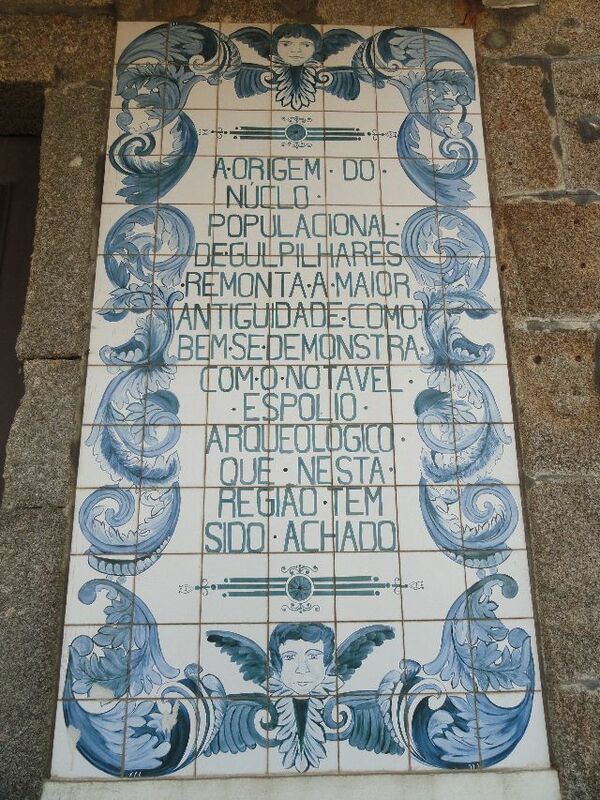 I have a hope some day to be back in Porto around the time of their Saint’s Day in June. If I do I will certainly look out for this lovely place. Thanks for the introduction. Yes definitely worth a visit just to see the old residencial area of Miramar and the beautiful beaches that are there. Thanks have just subscribed am Australian travelling in Portugal and love and need this type of info. Will be off to Miramar tomorrow. Great, am an Australian as well and there is so much to see in this country!